Amizade offers pre-Med, Med, pre-Nursing, Nursing, Pharmacy, and Public Health students hands-on practical exposure to medicine and nursing around the world. Serve on your own or form a group of six or more. Opportunities are available in Bolivia, Brazil, Ghana, Tanzania, and Jamaica. Experience and better understand health services in developing countries. Contact us for more information and to apply! The Service Experience: The service experiences vary considerably by site though all volunteers work to support local professionals. Pre-certification volunteers may assist with patient intake and some basic patient registration processes as well as important patient care, but do not provide any more actual medical care than they would in a US hospital or health clinic. Pre-certification volunteers help substantially by providing attention to individual patients and supporting nurses and doctors with their numerous tasks in considerably overburdened environments. More information on specific sites follows. Fees and Scholarship Opportunities: Amizade volunteers and students support their own programs through program fees. Less than twenty percent of fees are spent on administration. some related cultural, educational, and recreational activities. Frequently, volunteers are able to fundraise for programs through individual efforts to solicit funds through friends, family, and personal networks. Amizade also has limited ability to offer partial scholarships. If, as if often the case, students are earning independent study or internship credits through their home institutions during their individual volunteer placements they may be able to cooperate with their home institutions to secure student loans, scholarships, or grants to help cover the cost of the volunteer placement. For volunteers who are proficient in Spanish, there are opportunities to help nurses at a center for people with disabilities. Volunteering takes place in the city of Cochabamba, a beautiful city of 600,000 on the edge of the Andes Mountains. For volunteers who are proficient in Portuguese, there are opportunities to support nurses and, occasionally, doctors in health clinics and hospitals in the Amazonian city of Santarem. For volunteers who participate in extended stays in Santarem, there may be opportunities to participate in health outreach with Quilombo Communities (descendants of escaped African Slaves) along the Trombetas River. 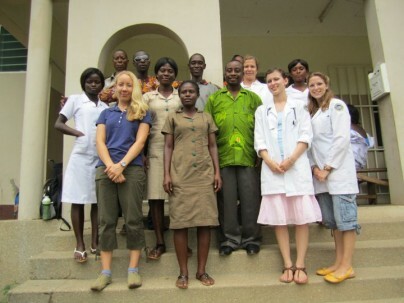 Opportunities exist to serve with nurses and doctors in health clinics and hospitals in several locations in rural and urban Ghana. English is one of the national languages of Ghana, so volunteers do not need local language skills. 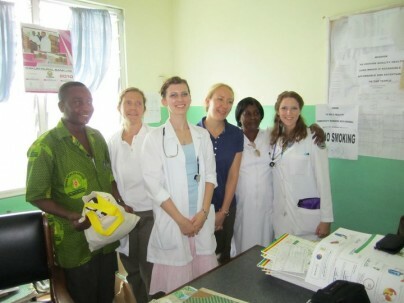 Volunteers, will, however be challenged by the extent to which many patients have limited English skills and prefer to speak in Twi or other local dialects. Volunteers may serve with a local organization, affiliated with the Anglican Church, that supports people with disabilities. The organization educates family members, people with disabilities, and village community members about disabilities and about living productively with disabilities. The organization also supports diagnoses, providing access to doctors, and coaching people with disabilities on physical therapy and other empowering behaviors. Volunteers at the Tanzania site live in a substantially rural part of Northwest Tanzania, on the edge of the energy grid. Engish is an official Tanzanian language, but it is primarily spoken by educated professionals. Patients will have limited English skills, typically preferring to converse in Swahili. Volunteers may serve without Swahili skills but must anticipate this challenge and should attempt to learn basic Swahili during the volunteer experience.